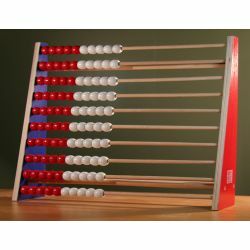 Jumbo sized, ten wooden bars, 1000 wooden beads (5 red/5 white per bar). 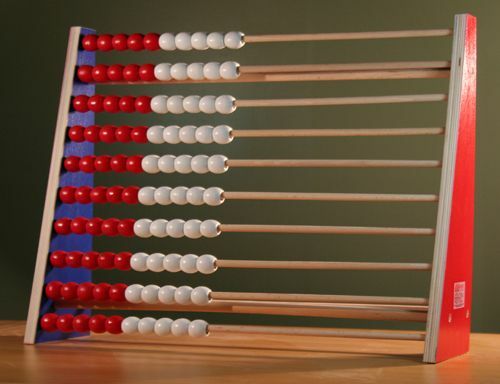 Sturdy plywood construction, wooden beads, wooden bars. Automatically in start position by design! 1.75 mm beads, 50 cm L x 41cm H x 14 cm D"